A small crew is here to discuss Star Wars Celebration Chicago 2019. We talk Episode IX The Rise of Skywalker, The Mandalorian, Clone Wars Season 7, Sisters of the Force, In Conversation with Alan Tudyk, It's a Maulvulous Life, Galaxy's Edge and merchandise! Follow Adam on YouTube at movieguy365 for all his movie discussions and reactions. Stitch? Pooh Bear? Good Lotso? Who is the cutest Disney character according to us? That is what we will decide this week as we are joined by some special guests to whittle down who is the one to cuddle them all. ALSO we discuss the finalizing of the FOX acquisition and what that could mean for the future of Disney and what was FOX. The final step towards MARVEL’s ENDGAME hit theaters this week in the form of CAPTAIN MARVEL, the first female led Marvel film. Putting aside that is should never have taken this long to make a female led film, how does the introduction of Carol Danvers work out? Is it better than the average origin film? We dive into all of that and more. In addition, this week came with major news towards the opening of GALAXY’S EDGE and the upcoming streaming service, DISNEY+. Paramount and Disney once again team up to bring us this week's feature DRAGONSLAYER from 1981. Known best for the creation of the dragon seen on screen, does this fantasy tale hold up? Do the effects, revolutionary at the time, still work? 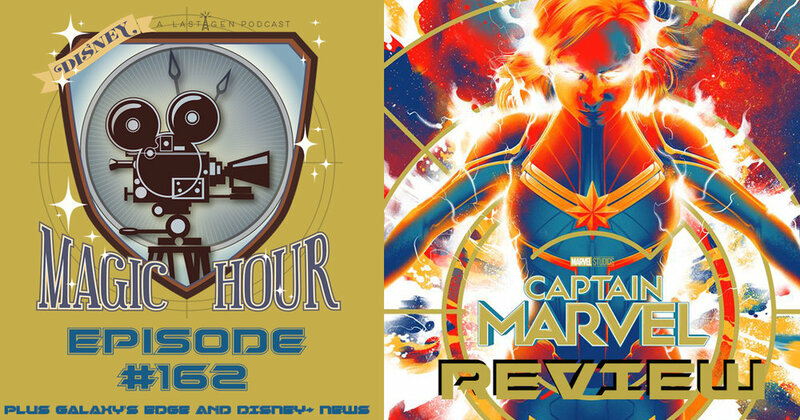 We will discuss that and other news from the Disney world including the passing of Ron Miller, Marvel creating new animation shows for HULU, Mondo making a licencing deal with Disney AND that ALADDIN trailer.